He explained that the boats drifting in from North Korea are flat-bottomed boats usually used on rivers to transport goods, and have no communications equipment on them, so they are likely only able to cover a distance of around 100 kilometers. 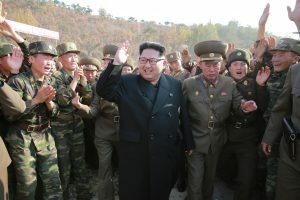 However, Eya stated that North Korea’s infiltration of Japan has not stopped, with North Korean defectors explaining that spy ships approach Japanese territorial waters, stop, and release a smaller spy boat from the ship’s stern, which then approaches the planned landing point before its passengers switch to an inflatable boat to land. Eya also suggested “infiltration operations have likely drastically decreased” since the December 2001 Spy Ship Incident in the Southwest Sea of Kyushu. Yamashita also stated that it was entirely possible that if the US made a preemptive strike against North Korea, North Korean special forces might immediately take action within Japan. He indicated his hopes for more debate within Japan on the subject in order to minimize any damage.